Please arrive 20 min early first timers. Must purchase Boxing Gloves for class, special ClassPass reduced price of $30, or you can bring your own. Water, Body Armor, and Coconut water for sale. Gary is awesome, Wednesday’s are ab days and he kills you with this workout- all worth it! Great music to workout to! Was def a really challenging workout! Sick combos and mix of abs/strength training. Love love love this class &amp; this studio. Always leave feeling energized from a fantastic workout, and every instructor is incredible. The one drawback is classes sometimes start/end 15-25 min after the scheduled time, so something to be aware of. For a cardio kickboxing class it was decent. The instructor admitted that she was making everything up on the spot, and for some trainers that might be ok, but I think the workout could’ve been much more intense, effective, and interesting. 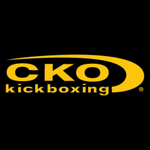 I will probably be back to try some of the other trainers’ classes at this CKO location as everyone is different. Really great workout. Loved the cardio element and felt comfortable asking for modifications during the class. Will definitely be back! A little difficult to keep up as a newcomer but the instructor was super chill and helped me out a lot! Will definitely come back- great workout! Not a lot of guidance offered and hard to hear whats going on. Class tonight seemed a little disjointed.